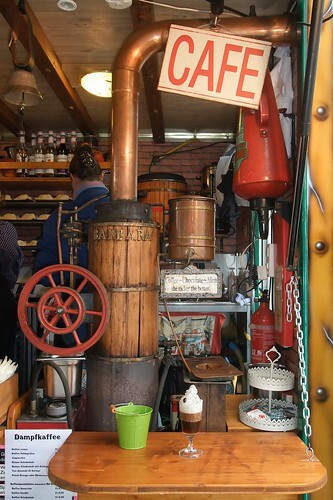 This coffee brewer is 130 years old. It comes from Cornwall, southern England. The machine needs no electricity. With charcoal is heated and pumped by hand. Market stall in St. Gallen, Switzerland, Oct 16, 2012.